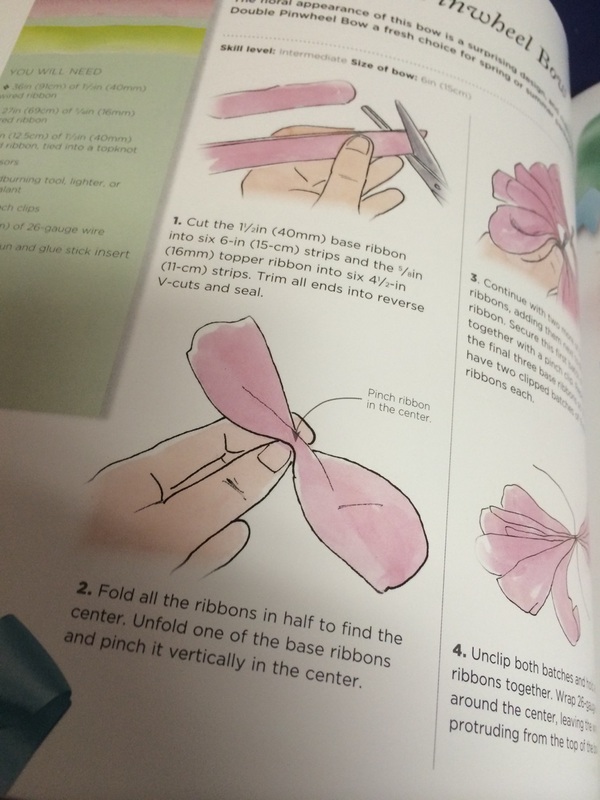 What I really liked about this book is the instructions. They are clear and easy to understand and there is step-by-step illustrations. It made it really easy to follow and even though the projects look like they may be hard they are pretty easy. My favorite section was the gift wrapping ideas and presentation boxes. I love to make the outside of my gift be as special as what is on the inside. This book gave me a ton of new ideas. Deanna Csomo McCool is a former newspaper reporter who has practiced arts and crafts since she could tie her shoes. 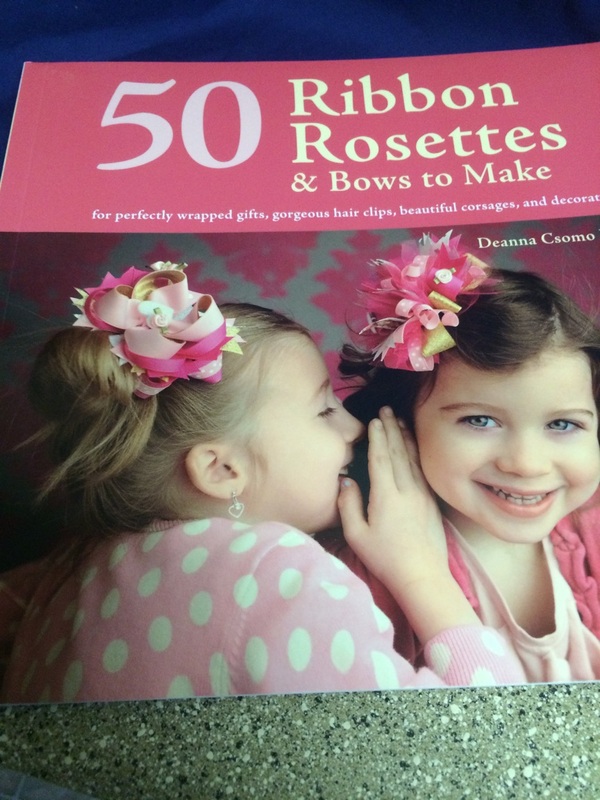 The mother of two daughters, she began sewing bows so that her daughters would feel like princesses. She designs sewing patterns and blogs about ribbon crafts, sewing, quilting and other fiber arts at www.sewmccool.com. If you would like to purchase 50 Ribbon Rosettes & Bows to Make you can do so below on the link from Amazon.com. The publishers were nice enough to send me 4 extra books that I would love to share. You must be 18+ US (48). Leave a comment on your what are your favorite craft projects. Extra entry for each way you follow Kaisy Daisy’s Corner. Giveaway ends Nov 14, 2014. Enter daily for more chances to win. 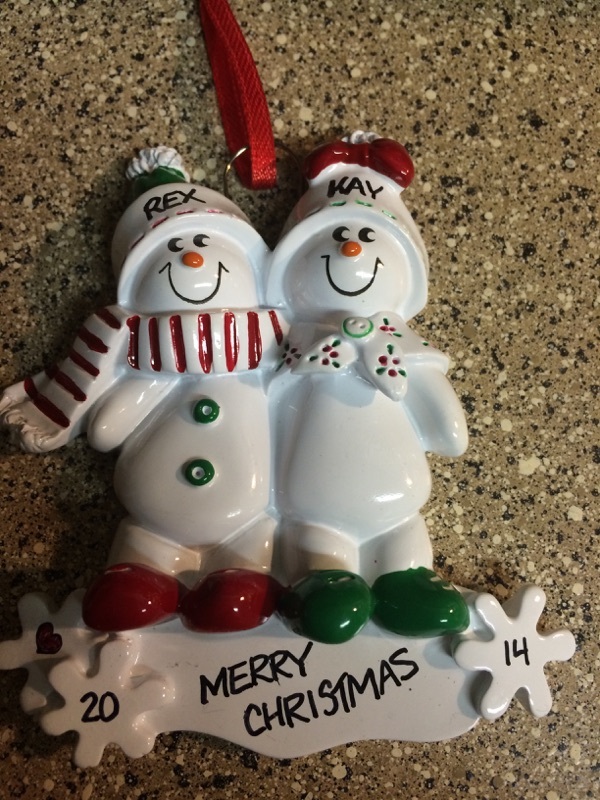 Last year I found an Ornament that I could personalize for Rex and I. I loved it so much that I am starting a tradition that I am giving Rex another one this year. Ornaments with Love make it easy to give a special gift for the Holidays. The ornaments are great for a new baby, first Christmas together or for one to mark each year. The hardest thing to do was pick out which ornament I wanted. They have a big selection including families, couples, kids, sports teams, hobbies and lots more! The ordering was very user friendly and easy to understand. I decided on this ornament with two snowman. It has such bright colors and looks great with the personalized snowman and the year and the Merry Christmas banner. It came only a few days after I ordered it. It was packaged really good and came with a gift bag to put it in. I really love this new tradition. If you are looking to start a new tradition or continue the one you started already, Ornaments with Love is a great place to find just what you are looking for. They have great prices and a wide variety of choices. You can personalize and buy your ornaments HERE. Ornaments with Love has offered to give one of my readers their own ornament. You must be 18+ US. Leave a comment on what ornament is your favorite. Extra entry for Copy the link from our website with a quick note, to our Facebook page http://www.facebook.com/personalizedchristmasornaments, Pin it on Pinterest www.Pinterest.com, or post it using any other social media program you prefer. Extra entry for each way you follow Kaisy Daisy’s Corner. Giveaway ends on Nov 14, 2014. Enter daily for more chances to win. I know I have talked about Shoplet.com in the past. You can find everything you need for your work or home office. They have all kinds of products like stationary and promotional items. At this time of the year I am looking for different calendars and I found two from Shoplet.com that are going to work perfect for me. Here is the first it is a At-a-Glance Collections Monthly Wall Calendar. It is perfect for me to use at work. I do the schedules and like to keep track of when someone is off or if we are booking travel for an up coming meeting. What I really like is all the space each box gives me, that way I can write more than one thing in a square. I also like how easy the numbers are to read. My eyes are not what they use to be! This will be perfect to hang on the wall near my desk. It is a 12 month calender and has perforated pages so I can tear the pages off as the months go by. 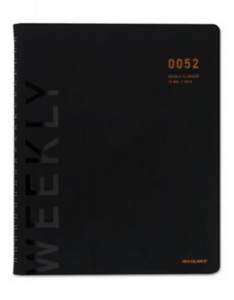 The second item is a At-a-Glance Collections Weekly/Monthly Planner. This is perfect for me to use for my blog. I like to keep track of when I have a review due or what book I need to read. I also like it for tracking when I get a product in the mail. It is very stylish and sleek. What I like is that it has plenty of room for me to make list and take notes. It has one week per two-page spread. I like that it has ruled lines in the note section and it is tabbed by the month. 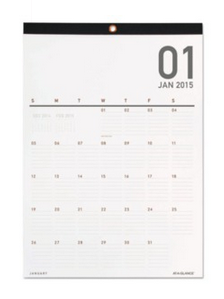 This planner goes from Jan 1, 2015 to Jan 31, 2016. I am sure I will get a lot of use out of this planner. You can find both of these great At-a-Glance Collections Calendars at Shoplet.com. Large Brush ~ This one I don’t use very often but need to. It is for use on the entire body. It can be used to help apply shower gel or soap and also helps exfoliate your skin. 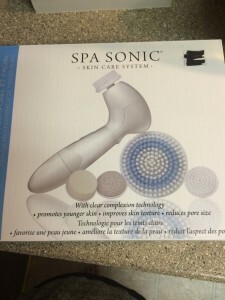 Facial Sponge ~ This attachment helps gently massage your skin which helps to improve your skin’s elasticity. Also great for helping apply your skin care products. Pumice ~ I love this one. I use it on my heels and bottom of my feet all the time. I think it works best when taking a bath. 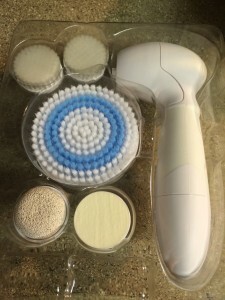 It helps exfoliate rough dry skin and reduces calluses. All of these come in a box so easy to store and easy to find when you need them. 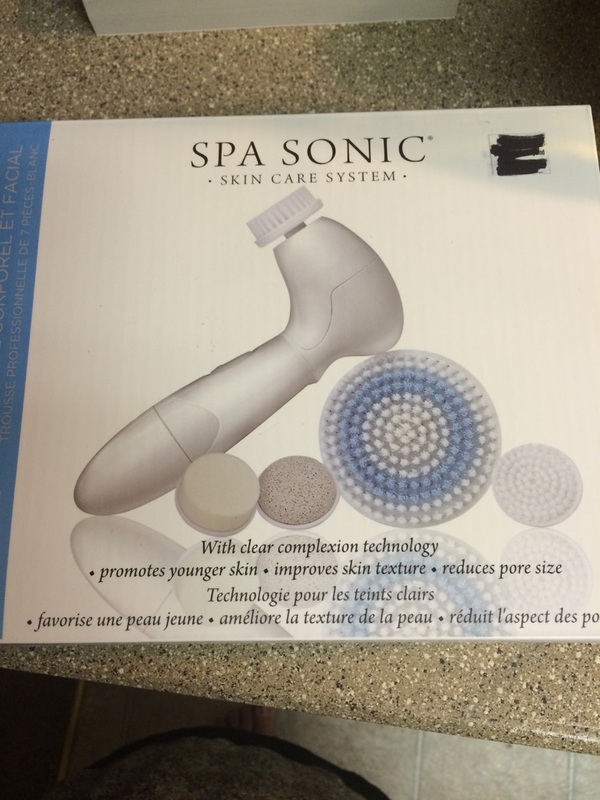 My Spa Sonic Skin Care System came in white. It is available in 6 stylish colors, white, pink, lavender, orchid, tangerine and optic yellow. Each 7 piece includes, 1 body polishing unit, 2 small facial brushes, 1 large body brush, 1 facial buffer, 1 pumice stone and 1 battery four pack. I think this would be a super present for either you or someone on your Christmas List. You can purchase your own on the link below at Amazon.com. The newly published cookbook was written by the Wisdom Natural Brands® team, in consultation with registered dietitian Maya E. Nahra. Most recipes feature SweetLeaf Stevia® Sweetener or Liquid Stevia Sweet Drops™, which have no calories or carbohydrates as well as no glycemic response. In addition, other recipes use SugarLeaf™, which is a low-calorie blend of SweetLeaf Stevia and cane sugar. SugarLeaf is the perfect product for sweetening, cooking and baking. 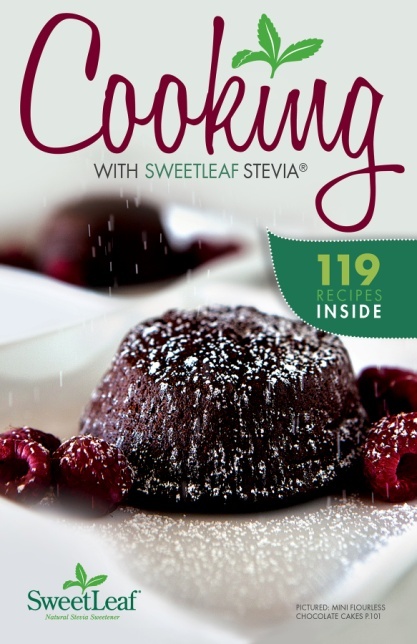 Cooking with SweetLeaf Stevia is a recipe book allowing everyone to indulge without regret. With every SweetLeaf product used throughout the cookbook, each recipe is uniquely sweet and flavorful, making them ideal for every day as well as holidays, gatherings, kids’ parties, family meals and more. In the cookbook, readers will find many possibilities for delicious entrees, sides, beverages and desserts. This sounds like a great book for anyone who is watching their sugar intake. My mom has diabetes and these recipes and SweetLeaf Stevia would be ideal for her. I was back in Wisconsin last weekend and there was no shortage of sugar. This would have come in handy then. 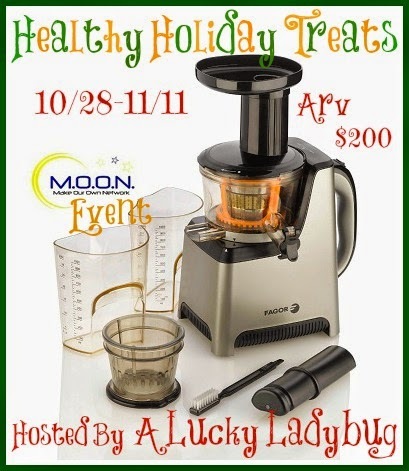 You can visit www.SweetLeaf.com to find recipes and more information. 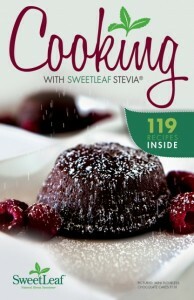 The cookbook is launching in Fall 2014 and will be available for $14.95 on www.ShopSweetLeaf.com. I spent a lot of time this weekend with my great nieces and nephews. It was amazing how much they like to play games on the phone or computer. 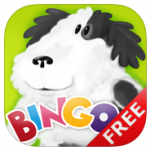 This would have been a great educational app for my great nephew – he is just learning his colors, numbers and letters. I can see he would spend hours playing with this app. You can can download it HERE it is on iTunes. 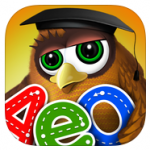 This would be a great educational app for someone who is just learning to read. I love all the different fun things that they have to do to help someone learn to read. There are rhymes and mazes that will keep any child who is learning to read entertained for a long time. You can download it HERE it is on iTunes. Here is another educational app. This one has lots of fun songs like B-I-N-G-O. I like all the characters and the colors are so bright your child will want to sing along with them. What’s great a bout this app is your child will learn and have fun at the same time. You can download it HERE it is on iTunes. This is a sponsored post on behalf of Kids Academy. All opinions are 100% my own and I was not influenced in any way. Facebook, Twitter, Pinterest, Google, and any other social media are not affiliated with this posting or giveaway. This disclosure is done in accordance with the Federal Trade Commission 10 CFR, Part 255 Guides Concerning the use of Endorsements and Testimonials in Advertising. The Ultimate Beer Lover’s Happy Hour will take you to a whole new level of tipsy gratification by bringing some of the best bar snacks and beer cocktails straight into your kitchen. 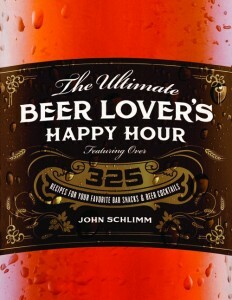 This hip new cookbook features over 325 irresistible recipes for delicious bar bites—from Sizzling Sriracha Peanuts to Taproom Tacos to Blitzed Bean Soup—and beer cocktails, chuggers, shots, shooters, chasers, punches, floats, and shakes, with nearly 1,000 related pairing suggestions using today’s most popular craft and seasonal beer styles. Whether you’re looking to host the next bash or simply create your own happy hour at home, this all-in-one entertaining guide will help you turn every bite into party night! John Schlimm is a member of one of the oldest brewing families in the United States, Straub Brewery, beginning with his great-great-grandfather Peter Straub. 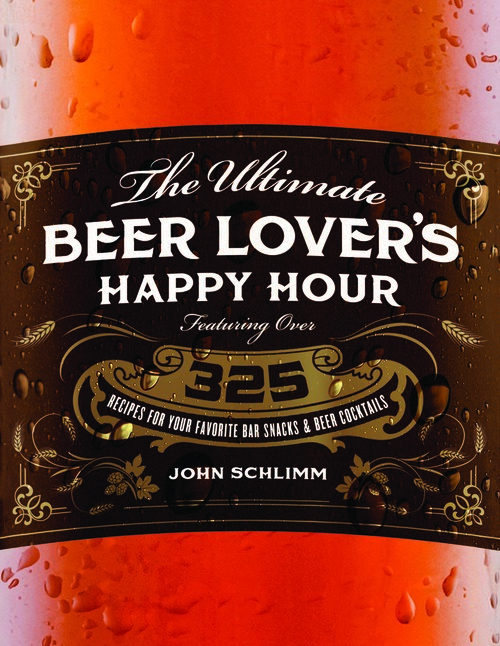 A writer, educator, and artist, Schlimm is the author of several books, including The Straub Beer Cookbook, The Cheesy Vegan, and The Ultimate Beer Lover’s Cookbook (awarded “Best Beer Book in the U.S.” and “Best Beer Book in the World” by Gourmand International). His website is www.johnschlimm.com. John wants to share a couple of his great recipes. Worcestershire sauce, garlic and onion powders, molasses, and Frank’s RedHot leave nothing to the imagination when it comes to these seasoned sourdough pretzels. Perfect for any occasion, from happy hour to a campfire, these fiery pretzels pair nicely with a lighter Pale Lager or Pilsner, or even a heavier Oktoberfest. Preheat 250°F. Line a baking sheet with parchment paper. Melt the margarine in a medium-size saucepan over medium heat. Stir in the Worcestershire sauce, garlic powder, onion powder, dry mustard, mace, lime juice, vegetable soup mix, hot sauce, molasses, and liquid smoke. Heat until just bubbly. Using tongs, dip the pretzels in the mixture, one at a time, coating them completely, and place them on the baking sheet. Let the pretzels rest for 15 minutes, then bake for 1 hour, stirring every 15 minutes. Turn off the oven, and let the pretzels cool there thoroughly, for 90 minutes or so. Serve the pretzels or store them in an airtight container lined with paper towels for up to a week. Add the coconut oil, canola oil, coconut milk, mustard, turmeric, and salt to the saucepan, stirring well. Bring the mixture to 125°F over medium heat, then transfer the pan to the ice water bath, and continue to stir until the mixture firms up. Transfer the mixture to a container with a screw-on lid. Cover and refrigerate the mixture. The margarine will keep for about 2 weeks. Traditional Worcestershire sauce is made using anchovies, and therefore not used by those following a plant-based lifestyle. One go-to source for plant-based Worcestershire sauce is the Annie’s Naturals brand of organic Worcestershire sauce (Annies.com). Combine all the ingredients in a medium-size saucepan over medium-high heat. Bring to a boil, then reduce the heat to a simmer. Cook and reduce the mixture by half, about 20 minutes. Strain through a fine sieve, and let cool completely before using. The sauce will keep in a tightly covered container, refrigerated, for 2 to 3 months. I have tried the Pork and Chive Dumplings and they tasted delicious. I couldn’t believe how easy they were to make while following the recipe from Lee Ann. Lee Anne Wong is a celebrity chef with a passion for Asian cuisine. She was one of the top four contestants on Bravo’s Top Chef. She was also a judge on Chopped as well as a guest on Unique Eats, The Wendy Williams Show, Iron Chef America and Unwrapped. 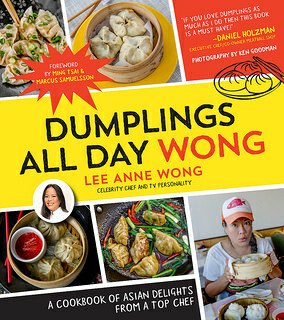 Most recently, Lee Anne hosted a one-hour special called Food Crawl with Lee Anne Wong, on the Cooking Channel, where she searched New York for the best dumplings and noodles. She resides in Hawaii. Here is the recipe for the Pork and Chive Dumplings I made. In a large mixing bowl, combine the pork, garlic chives, fatback, soy sauce, shao xing, ginger, sugar, salt and white pepper. Mix the ingredients until the filling is well combined. Boiled: Bring a large pot of salted water to a boil over high heat. Cook the dumplings in small batches for 2-3 minutes. Drain, serve immediately with soy ginger dipping sauce. Steamed: Steam on greased parchment paper over a boiling water bath until the filling and dumpling skins are cooked through, about 4 minutes. Pan-fried: In a small container, mix 2 cups/475 milliliters of water and 2 tablespoons/12 grams of flour until the flour has dissolved into the water and the mixture is cloudy. Heat a small nonstick pan over medium-high heat. Add a tablespoon/15 milliliters of vegetable oil to the pan and place the dumplings in the pan, lined up next to each other and cook until the bottoms turn golden brown, about 1-2 minutes. Add 1/2 cup/25 grams of flour/water mix to the pan; it will react with the hot pan and steam and splatter a bit so as soon as you add the flour/water mixture, cover the pan with a tight-fitted lid. Cook the dumplings covered until almost all of the water has evaporated and a thin golden crust begins to form in the bottom of the pan. Remove the lid and cook until all water has evaporated. Carefully removed the dumplings from the pan, serve immediately. Deep Fried: Preheat a large pot of deep fry oil to 350°F/175°C. Carefully drop the dumplings one by one into the hot oil, frying in small batches being sure not to overcrowd the oil. Cook the dumplings for 2 minutes, until the filling is cooked and the exterior is golden brown. Drain to a paper towel. Repeat with remaining dumplings until all are cooked, making sure the oil temperature returns to 350°F/176°C before frying the next batch. Serve immediately with dipping sauce. To make the dipping sauce, mix all the ingredients until the sugar dissolves. Refrigerate and allow to macerate for at least one hour. *Recipe provided and shared with permission from Page Street Publishing and Lee Ann Wong . Recipe can be found in Dumplings All Day Wong. If you would like to purchase this fun cookbook Dumplings All Day Wong by Lee Ann Wong you can do so on the link below from Amazon.com. I love to try new recipes. One of my favorite things to do is watch cooking shows. One I really like is Master Chef – I am a pretty good cook but a lot of their recipes are pretty intimidating. I would not have any clue on how to do some of the complicated plates they make. I think that is why I was excited to get this book Easy Gourmet by Stephanie Le. She is a food blogger and guides home cooks through even the most complex culinary techniques and makes them easy to understand and follow. Her must-have recipes cover every meal and everything in-between, all paired with her signature stunning photography. Don’t they sound good? I have tried the Pea and Bacon Risotto and it turned out really good. It was not as hard as I thought it would be. 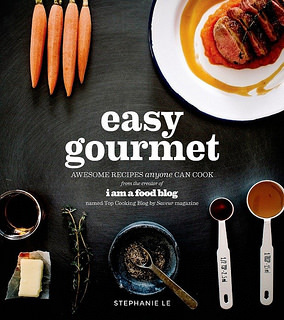 Stephanie Le runs I am a Food Blog – Saveur Magazine’s 2014 Blog of the Year and Editors’ Choice Best Cooking Blog. With a focus on delicious foods that we all want to be cooking and eating, I am a Food Blog is where to go when you ask yourself, “what’s for dinner tonight?” Stephanie’s food is enticing and accessible – she makes us excited to get into the kitchen again. She has been featured on saveur.com, foodandwine.com, TheKitchen.com, BuzzFeed.com and Food52. Here is a great sounding recipe to try – Seafood Pappardelle. pepper flakes. Cook until soft, but not brown. Add the tomato sauce and cream. Return the scallops and shrimp to the pan and simmer gently on low while the pasta is cooking. Cook the pappardelle according to the package. Drain and toss with the sauce and seafood. Enjoy immediately with a sprinkling of flat-leaf parsley. *Recipe provided and shared with permission from Page Street Publishing and Stephanie Le. Recipe can be found in Easy Gourmet. If you would like to purchase Easy Gourmet by Stephanie Le you can on the link below from Amazon.com. I would love a juicer and Sorbet Maker all in one. Enter to win at the end of the post – ends Nov 11, 2014.